. Spiders and Frogs . 40 metres tall with a 2 metres trunk diameter. 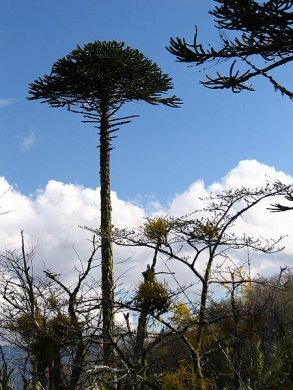 The tree is native to central and southern Chile and western Argentina. sometimes described as a living fossil. it can live possibly as long as 1,000 years. 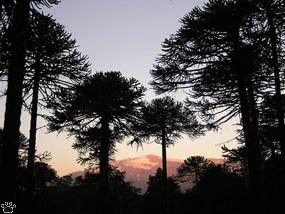 Araucaria araucana is the national tree of Chile. 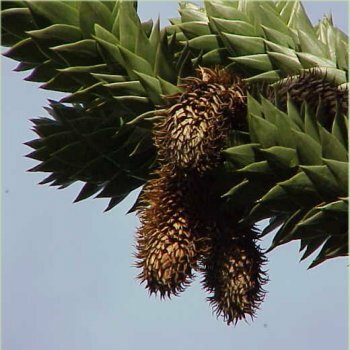 The leaves are thick, tough and scale-like, triangular, 34 cm long, 13 cm broad at the base, and with sharp edges and tip. 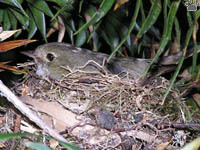 They persist for 1015 years or more, so cover most of the tree except for the older branches. If Peruvian Andes are the most biologically diverse, the Andes of Chile are the most beautiful. 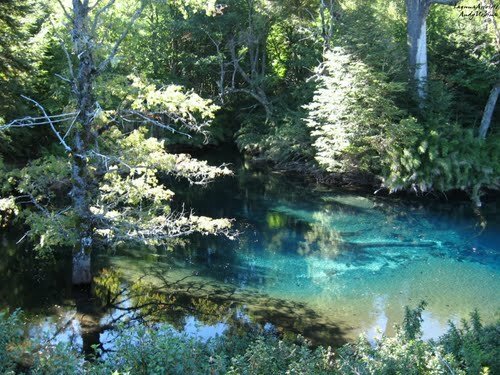 They look like a mirror image of the Pacific Coast of North America, but with totally different flora and fauna. except for black in the wings and tail. 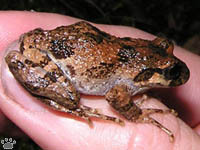 The female is similar to the male, but is smaller. 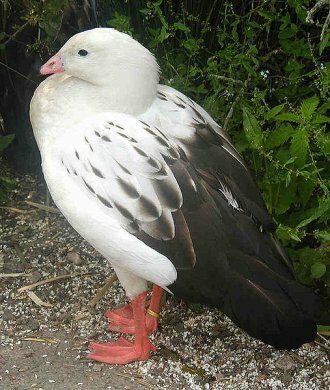 The Andean Goose is a grazing species, eating grasses. 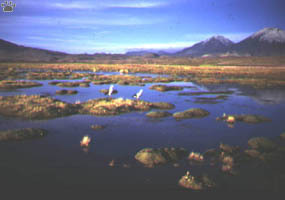 It is territorial in the breeding season, but otherwise forms small flocks. second largest native canid on the continent after the maned wolf. In its appearance it bears many similarities to the widely recognized red fox. back that may be barely visible. 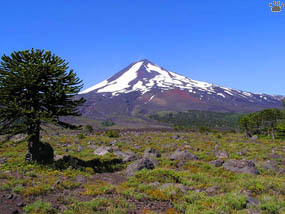 Central Chile has Mediterranean climate, changing into absolute desert further north. birds, and other creatures. 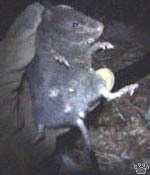 Spotlighting for small mammals is especially good there. 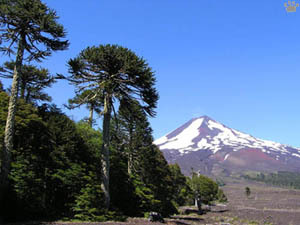 forests of Argentina and Chile. 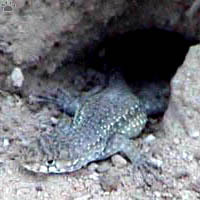 It is the only species in the genus Geoxus. pets and as many of them originate from regions that experience cold conditions, they are named snow swifts. More generally, the genus is known as tree iguanas. 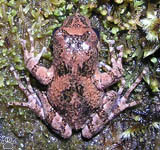 There are more than 190 described species but the true number of species is estimated to be about double this number. within the Iguanidae but more recently were proposed for upranking to full family Liolaemidae. 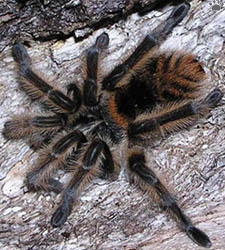 size (between 45 and 100 mm snout-vent length) and weight (from 3 to 200 g). They can be found in a variety of habitats from sea-level to elevations of 4500 m. Most are omnivorous but a few purely insectivorous and herbivorous species are known. 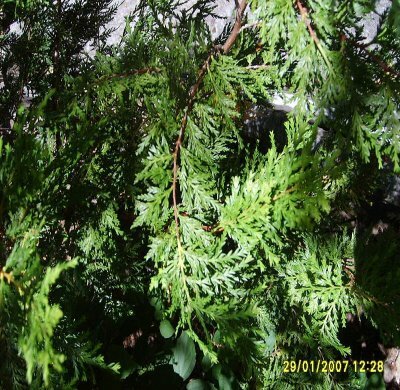 and elsewhere by the scientific name as Austrocedrus, or sometimes as Chilean Incense-cedar or Chilean Cedar. 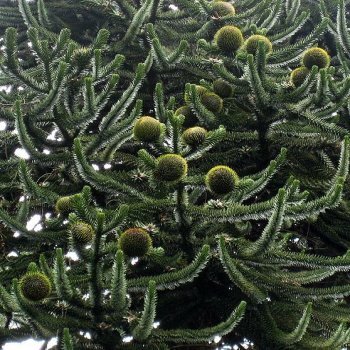 The generic name means "southern cedar". (23 mm) leaves, giving a flattened shoot. Each leaf has a prominent white stomatal stripe along the outer edge. scale has two winged seeds 34 mm long. and less crouded than similar parks in adjacent Argentina. Transportation in Chile, either by a rental car or public transport, is much cheaper and more effective. 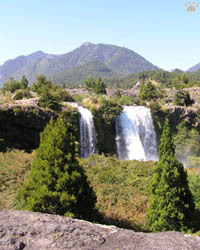 My personal favorites in Valdivian forest zone are Conguillo and Alerce National Parks. 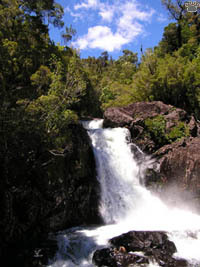 Parque Nacional Alerce Andino, Chile. lava and hills beyond lush .. All for concecuencia of Laima volcano eruptions. all animals and plants there are unique for Chile and adjacent parts of Argentina. 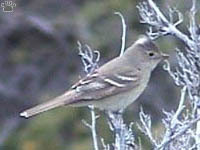 Chilean mockingbird, Mimus thenca, Temuco. Des Mur's wiretail, Sylviorthorhynchus desmuirsii, PN Alerce Andino. 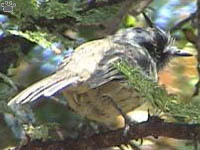 All nine Chilean species can be seen with little effort within a few days. Raptors, owls, even flamingos tend to be easily approachable. moustached turca, Pteroptochos. 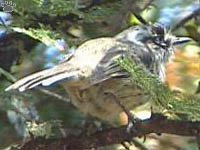 megapodius, chestnut-throated huet-huet, Pteroptochos. 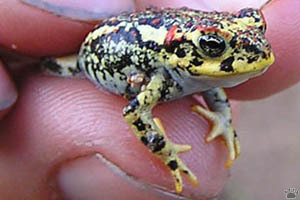 castaneus. 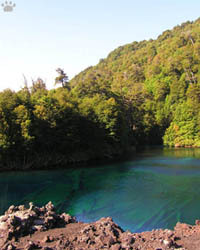 Alerce Andino, Rio Clarillo, and Laguna de Laja National Parks, respectively. 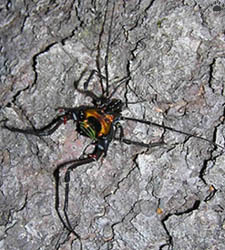 Numerous weird and beautiful creatures hide under logs, loose bark, dry leaves, and rocks in Chilean forests. Identifying them can be difficult, because the area is inadequately studied, and little literature is available. 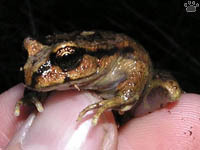 Batrachyla frogs, PN Alerce Andino. Reserva Nacional Las Chinchillas, Chile.